What's the best splitting maul? So, someone you know chopped down a large tree and blessed you with a stack of logs for your fireplace. The only problem is that they are a foot in diameter and weigh, well at least seem to weigh, a ton. 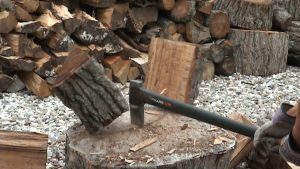 You need to split those huge logs into halves or quarters, so you head off to buy an splitting axe, and when you see all the different styles, you are stumped. 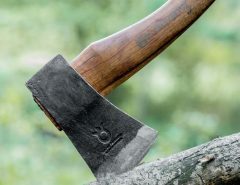 What type of axe should you buy, and what is the best brand? 0.1 What is a splitting maul? 0.2 Which splitting maul should I buy? 0.3 Shouldn’t I just buy the cheapest maul? You know you want to split the giant logs so the axe marked “splitting maul” catches your eye? Is it what you need? Yes. A splitting axe is the same as a splitting maul. A splitting maul is used for splitting logs along the grain (the inside of the tree) to make firewood where as a camp axe or felling axe is used to cut against the grain (cutting into the bark). You could use an electric log splitter or a hydraulic log splitter to do the task but they’re expensive and take up a lot of room. Plus it’s good exercise splitting wood and getting some fresh air. Splitting mauls are heavier and have longer handles/hafts than a traditional axe. The head of a splitting maul is wedge-shaped but some companies have experimented with other shapes. 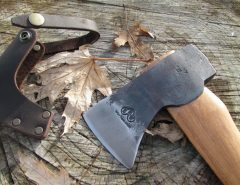 A normal axe has a wedge shape as well, but not anywhere near as wide as a splitting axe. Splitting mauls are swung downward at a log, not across like when trying to fell a tree. They do not need to be razor sharp. It’s important to note that you should try to avoid splitting knotty wood. It’s much harder to split knotty wood. Some people prefer to split green wood, some prefer to split seasoned wood. The benefits of splitting green wood is that it will dry faster. The benefits of splitting seasoned wood is that it’s easier to split because the wood will have natural cracks that you can aim for. Which splitting maul should I buy? There are a variety of mauls available in the $40-$60 price range and some that are closer to $200. 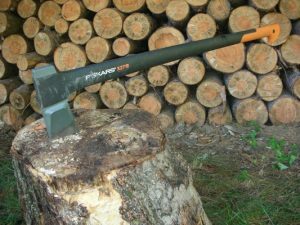 Most of the big brands like Gransfors, Wetterlings and Husqvarna splitting mauls cost over $100. 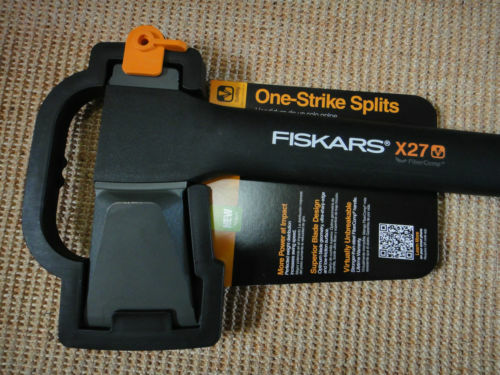 The Fiskars X27 is far cheaper than that. Shouldn’t I just buy the cheapest maul? Many people claim that a maul shouldn’t be sharp which means you can buy the cheapest maul because the quality of steel doesn’t really matter if it doesn’t have to be sharp. All you’re doing is swinging a big piece of metal right? This is a myth. A maul should be sharp, but not have a fine edge. It should have a convex edge, which means it should be a bit rounder. It doesn’t need to be razor blade sharp, but it still has to be sharp, especially if you’ve got stringy wood you’re splitting. If you spend $30 on a no-name splitting maul you will be disappointed. Fiskars X27 Super Splitting Axe Check Today's Price Haft is virtually unbreakable which is really important when is comes to a splitting axe. It also comes at a great price. 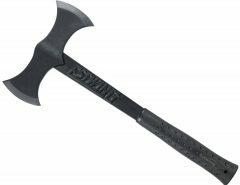 It performs just as well as high end splitting axes but is much cheaper. 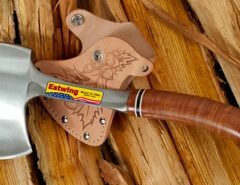 You can't go wrong buying this splitting axe. 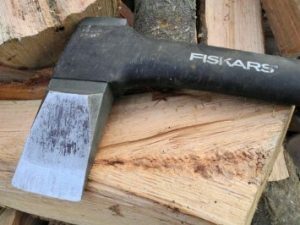 This Scandinavian splitting axe is made by the very reputable Fiskars. It is made in Finland. It’s 36 inches which might be a bit too long for some. 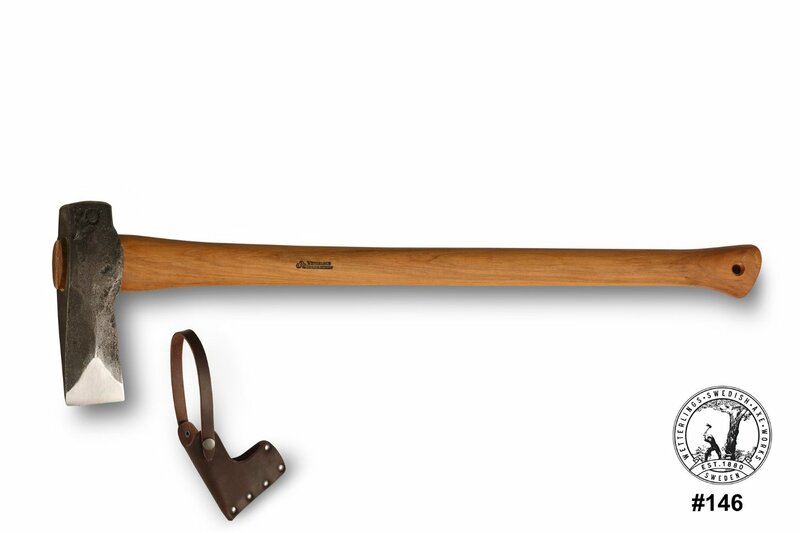 They also have the X25 splitting axe (click on the option that says “28-Inch axe”) which is 28 inches long. The longer the handle, the harder it is to control and many just prefer the shorter 28 inch X25. The blade stays sharp for a long time, and the axe comes with a lifetime warranty. The steel and edge geometry are great but the reason this is my favorite is because the handle is made from FiberComp which is much lighter than wood but stronger than steel. The handle is also shock absorbing. 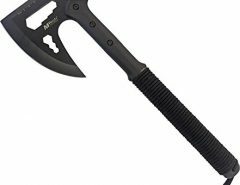 This means that it’s easier on the body to swing because you want a light but strong handle and you want all the weight in the axe head. How strong is the Fiskars splitting axe handle? Those who buy it love it just like I do. Check out my full review here. Check today’s price. Another high end maul (as in, very expensive) is the Leveraxe Splitting Axe, Vipukirves 36 inch. 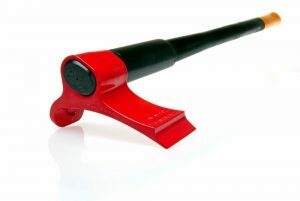 It features a more modern design with a black handle and red blade. 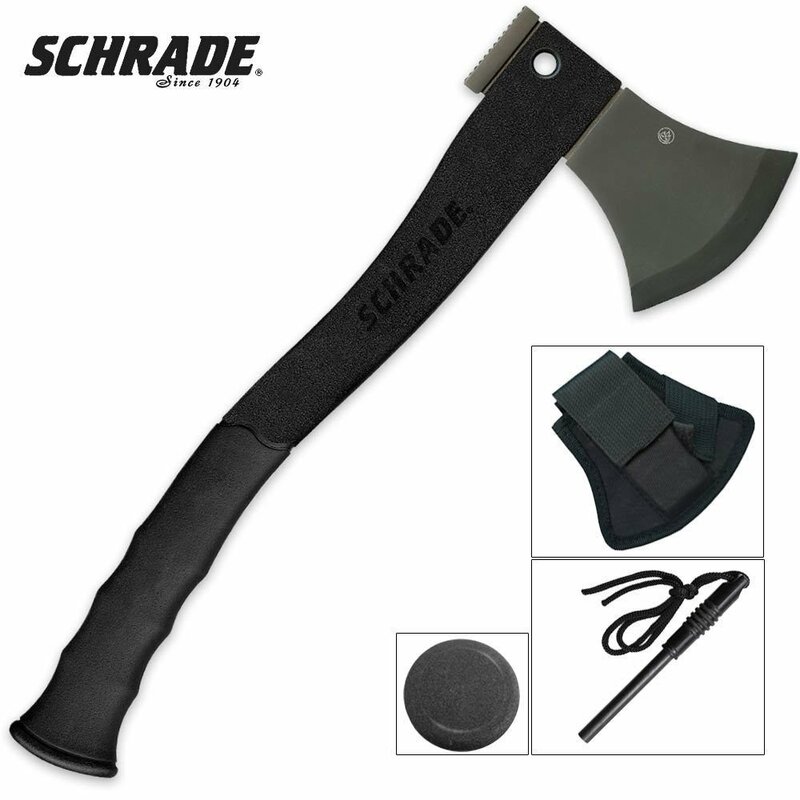 The back of the axe head has a hook that functions as a brake, keeping the axe on the top of the wood you are trying to split and not allowing it to do into the ground, or into your leg. 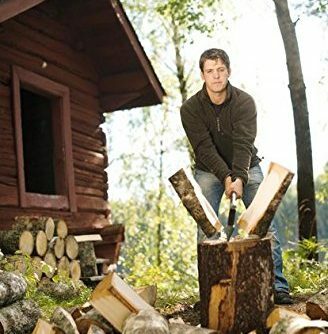 The Finnish manufacturers claim that their unique design allows you to safely strike closer to the edge of the log than the center, making it easier to split the logs with less force. The right splitting maul for you depends on how much you want to spend and whether you prefer a traditional or modern profile. You won’t go wrong with any of these choices.